In the north stand the snow-covered mountains the Garhims call home. It is a desolate and barren world, but to the hard-working and honorable Garhims an easy life is no life at all, and with stone for their castles and fish for their mouths, the land provides everything they need. 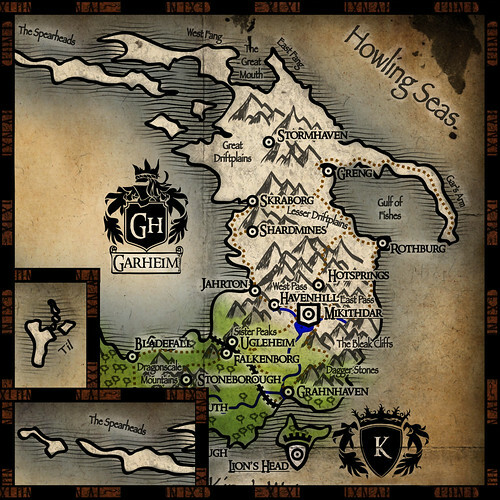 Northern Garheim is the coldest region in Roawia and stretches from the Spearhead Islands in the west to the Howling Seas in the east. Builds in Northern Garheim should include large amounts of snow and rocks. It is a barren wilderness where only the most bold explorers venture. There is nearly no plant life and most water is frozen. No one knows how much of the Spearheads is actually land; frankly, not more than a handful of people have ever even walked on them. The Fangs reach far out into the Garheim seas, calming the waters of the Great Mouth. 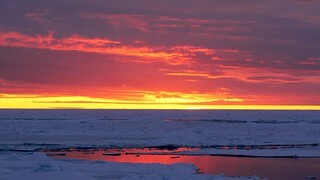 Thus the waters of the Great Mouth are almost perpetually frozen with small streams through the ice field. 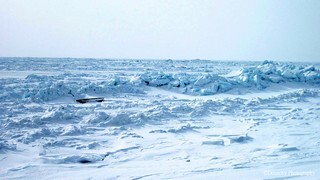 The running water and surging of the sea breaks the ice apart to form jagged fangs on the surface with ear-splitting noises. It truly is a sight to behold. Katabatic winds on the Great Driftplains West of Stormhaven make this one of the most deadly places in Roawia if one is not careful. It is said that the bitter winds here can reach nearly 200 miles per hour. 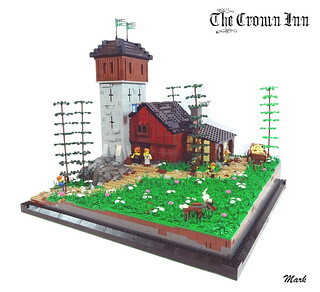 The Garheim council know all too well of this plight, and an ongoing effort is in place to build hundreds of small stone towers stocked with firewood and provisions should travelers need to take sudden refuge. The effort has already saved many lives. Named for the surrounding mountains that shelter the city from the harsh northern climate, Stormhaven is a welcome rest stop for weary travelers and is one of the largest cities on the Great Driftplains. On the far side of the Storm Mountains *tentative name - let me know if you guys like it; I think all of our mountain ranges need names* lies the port city of Greng. It's harbors resting of the Gulf of Fishes, Greng is a bustling hub of trade and one of the busiest cities in Garheim boasting an incredibly successful fishing industry. South of the Storm Mountains, Skraborg marks the border between the Great Driftplains and the Lesser Driftplains and boasts its own port on the Western Seas. Central Garheim has a more temperate climate than the northernmost reaches of Garheim, but this land is still ruled during most of the year by the heavy snows the land is known for. Spanning from Jharton Bay in the west to the Gulf of Fishes in the east, Central Garheim is home to most of the regions denizens. Builds in central Garheim should include snow and rocks. 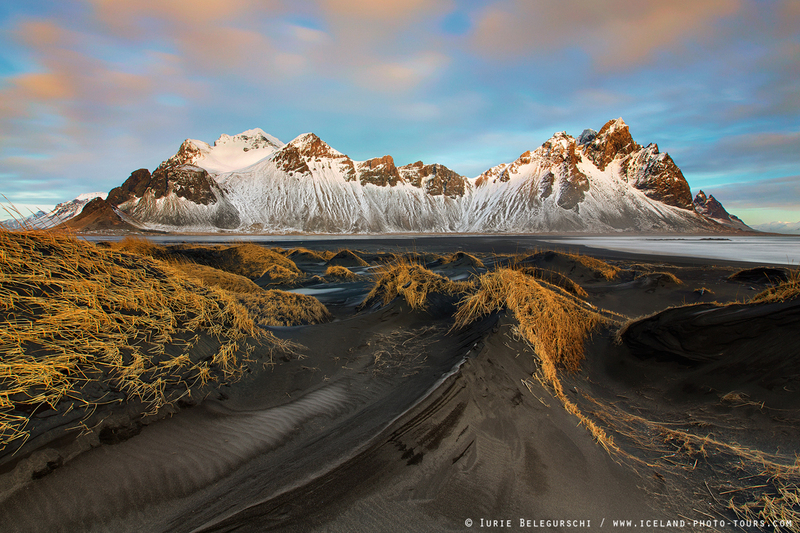 Through the snow, there is sometimes seen rocky, sandy soil; making plant life possible. Laying to the eastern end of the lesser drift plains, the Gulf of Fishes is known for it's year round abundance of fish of various sizes. The area is well populated with the cities of Greng and Rothburg sitting on it's coast. The Lesser Driftplains are the less deadly version of the Great Driftplains. They are smaller, safer, and farther South. The population of the Lesser Driftplains reflects the more hospitable climate, and there are many quaint villages throughout. Shardmines, named for the nearby Dwarf-ran mining operation in the Shard Mines, is one of the busier cities in Garheim and one of the few places in Roawia where Dwarves make up most of the populace. Rothburg is an impressive city that is located in central Garheim. It was built along the coast and boasts an impressive lighthouse as well as a grand feasting hall and large armory. Lord Clairmor, along with his two trusted advisers Sir Angus the Bold and Brother Steven, has ruled over Rothburg for a number of years. Age has finally caught up to the lord and in the recent Council session, Lord Clairmor sent his daughter, Lady Astrid the Fair, in his place. 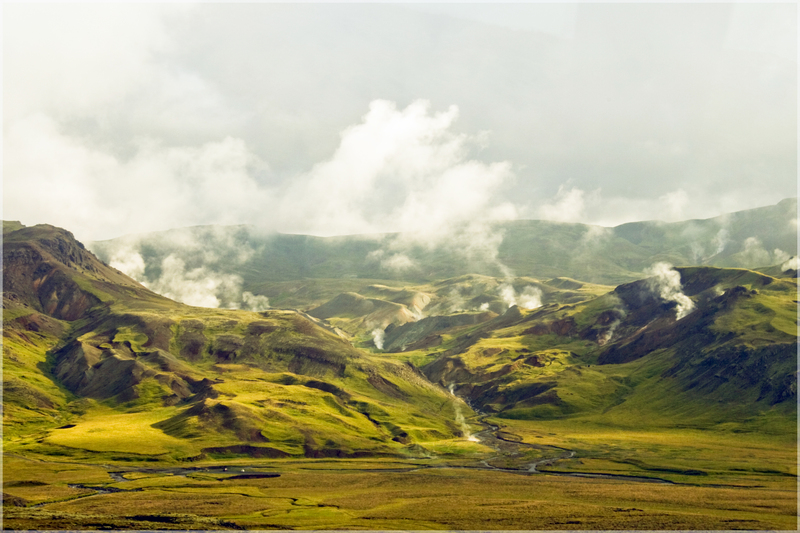 Located deep below the surface of Hot Springs runs a river of hot water warmed by the core. This water circulates through much of Garheim, but most notably at the village named for the springs. The hot pools of water are therapeutic, and account for the excellent health of the Garhim people. The city council keeps many free to access, but the best ones are privately owned and provide a steady stream of income for the village. 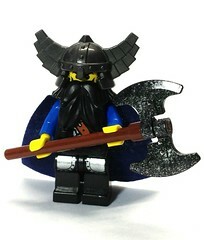 Steinar Norgard is the lord of Jharton and has held the position since the death of his father. 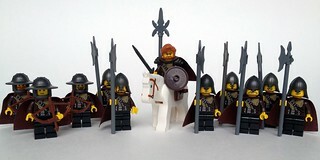 Lord Steinar has been a strong supporter of Jarl Jhirian Eindrik and dedicates much of Jharton's military to the protection of Garheim, but fearing another invasion Steinar has kept a large portion of supplies and troops closer to home. In favor of the colonization of the western isles, Jharton has slowly been building up ships and gathering materials to send over to Andarheim on the Garhim isle of Grimmfell. 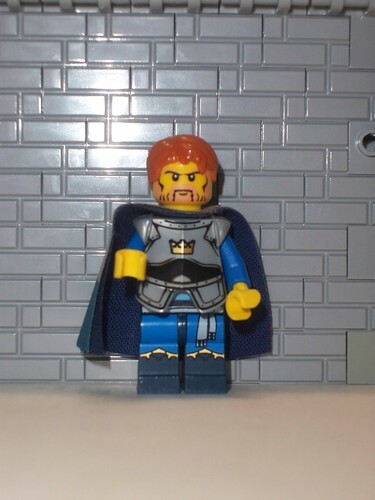 The local guard of Jharton is also lead by a Garhim, Harald Sjöberg, a man known both for his stubbornness and competency as a captain, keeping his men in line and the streets of Jahrton safe. 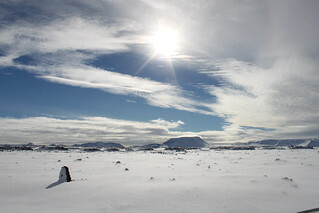 Southern Garheim has the most temperate climate of the region, although winter's chill still covers this land in snow for almost half of the year and in the mountains snow can still be found in midsummer. 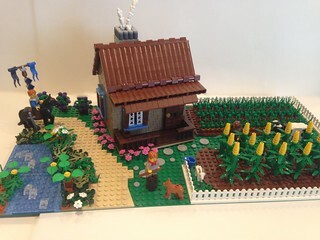 Citizens of Southern Garheim make use of the short summers to work the land, sowing their crops and grazing their livestock on the fertile plains or on homesteads in the forests. Builds in central Garheim do not have to include snow, plant life is abundant with even meadows to graze cattle on and forests to be tended. There is a constant chill in the air. The Bleak Cliffs would make for a perfect harbor, but a major one has never developed because of Granhaven to the south and the difficulty of maneuvering many large ships through the rocky shoreline. Despite this, the population of the Bleak Cliffs is substantial. Shepherds roam the rocky hills with their herds of cattle and sheep by day, and then return home to their families. The chilly air keeps cheeks rosy through most of the year and the cool climate and gorgeous scenery make the Bleak Cliffs some of the most impressive sights in Roawia. In the far south of Garheim, a vast coniferous forest extends from the Sister Peaks to the Dagger Stones, marking the border between Garheim and Lenfald to the south. At a lower elevation than the rest of the province, the Pinewoods has a more temperate climate which has lead to a proliferation of not only the pines, firs, and other cone-bearing trees usual to Garheim but stands of aspens, birches, and willows dot the landscape. With a higher quality of soil, many Garhims in the Pinewoods have turned away from the seas to a life of farming and animal husbandry, grazing their livestock on the sparse grasses, while an availability of timber has lead to a decent logging industry. Havenhill is located on the other side of Mithikar lake on the banks of the great bear river. 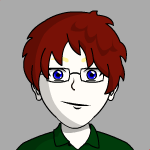 It is the currently ruled by Lord Adolphus. Under his leadership along with the aid of Sir Kroth Stonegrinder, the town of Havenhill has recovered from the grip of Queen Galanir and has begun to prosper again. Ugleheim is located in southern Garheim. It has a sister city called Falkenborg located in northern Lenfald. Recently guardsmen from Uglehiem have had to patrol the surrounding woods to protect them from outlaw and Lenfald smugglers from chopping down trees on their border. 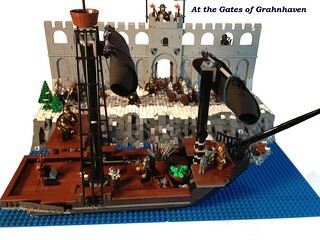 Grahnhaven; gateway to the southern seas. It is a port city located in southern Garheim. It has earned its nickname because it located toward the south and has easy access to the ports of Loreos. Mithikar; the grand capital of the Province of Garheim. 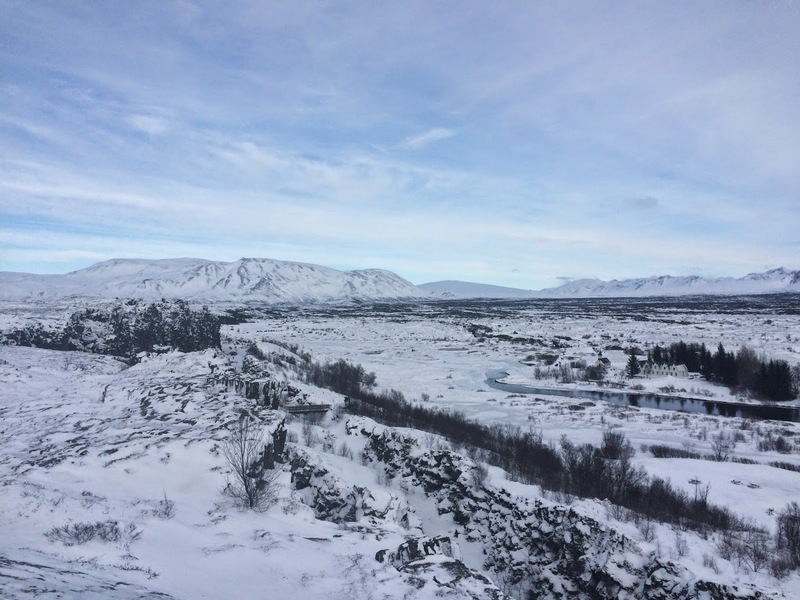 It is currently the seat of power for High Jarl Jhirian Eindrik. It is centrally located making it a good spot for various gatherings of lords and jarls from all over Garheim. The capital city is well defended and boasts an impressive guard naturally made up of the best men from Mithikar. The capital city also houses many of the generals and captains of the Royal Garheim military. 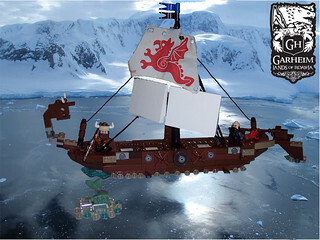 Andarheim was the first place where Garhims landed in the new world. Story of voyage: here and here. A link to the interactive map can be found here. Feeling no need to bow to any other man, his allegiance to the King would not exist, were he not bound by the ties of loyalty that his people live by. His sword, and those of his fellow Garhims, belongs to the King as long as the Code of Honor between them remains intact. The inhabitants of Garheim are a hearty bunch, having learned over many generations how to tame the wild lands that they inhabit. 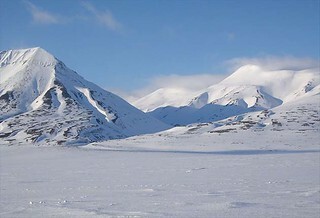 There is a strong subsistence culture, with hunting, trapping, and fishing providing most of the food, and the pelts of the animals are used for cloaks and blankets to keep out the chilly arctic air. Garhims are the ultimate experts at outdoor survival, learning at a young age how to make fires and build snow caves for temporary shelter from the elements. The other main resource of the North Land is the abundance of ore that can be found in the craggy mountains that cover much of the landscape. 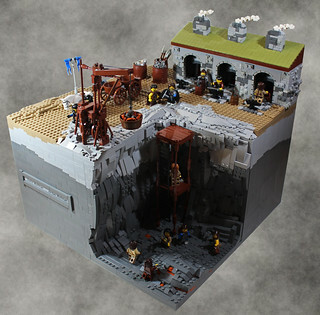 Metals of iron, gold, and silver are harvested in rich veins via deep and dangerous shafts by the industrious dwarven populations of the rocky hills. Precious jewels are also found regularly. 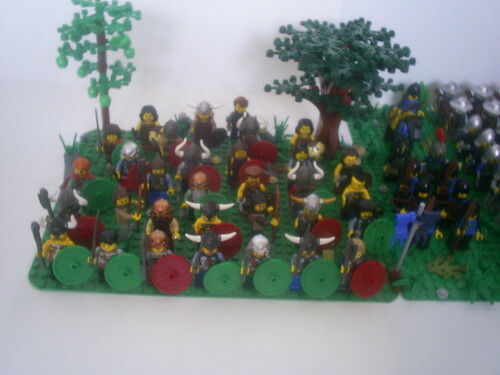 The armies of Garheim focus on light infantry. The most common weapon across the province is the spear, but if forced to use a sword, hammer, or even a quarterstaff; the effect on their enemies can be disastrous. Bows are not often used, but Garhim generals know the importance of skill with an arrow and have their soldiers stay in practice. Grand warhorses form a large part of the army stationed in Mikithdar. 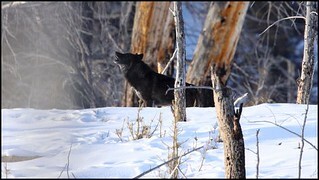 In the northern reaches, the howling winds cause soldiers to wear cloaks and hides thicker than armor. The Garheim Council consists of non-admin members who share formal duties of the faction. Members who have not scored in the last 24 months have been removed from the board, should they score, they will be added back. We still have some catching up to do, but soon we will once again be the top faction in LoR! -GC XVI - "Show of Force"
Build for the glory of Garheim! As your friendly neighborhood Faction Liaison I would like to welcome you Garheim! 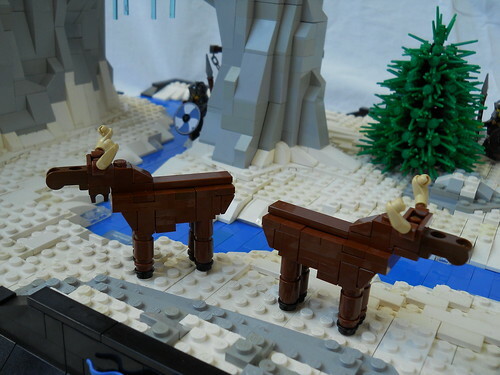 Build a scene depicting Garhims and the animals of Garheim. Entries should be anything from tending to horses, milking cows, raising chickens, herding livestock - or selling them in town, or even taming the wild musk oxen of the Driftplains. Build a scene depicting Autumn in Garheim. Entries should be fall-themed and can be anything from harvesting crops to bartering in town, celebrating the Harvest Moon Festival, enjoying the fall colors, or otherwise preparing for winter; the colder regions may even be dealing with snow! Economy: New products from the Great Western Isles are changing the economies of Roawia! 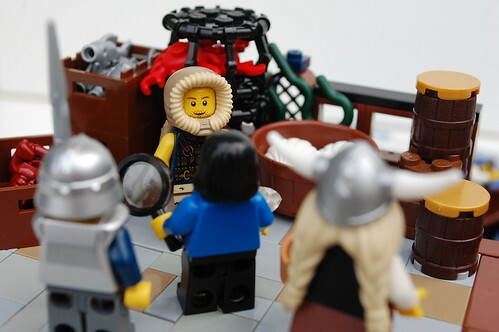 Do you have your hand in the lucrative trading of commodities of the Isles? Exploration: The Isles are barely explored, an untamed land waiting to be charted and conquered. Do you brave the unknown and go forth in the name of your country (or yourself)? 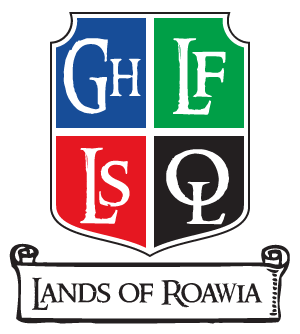 = Lenfald and Outlaws only for the Great Western Isles; Garheim and Loreos can explore new terrain in Roawia. Extortion: Times of great change provide many opportunities, and not just those on the up-and-up. Thievery, bribery, blackmail, threats, and other nefarious deeds are on the rise. Do you choose to delve into the dark underbelly of wealth management? GLOBAL CHALLENGE XI - The Grand Discovery - The Rumors are now fact. 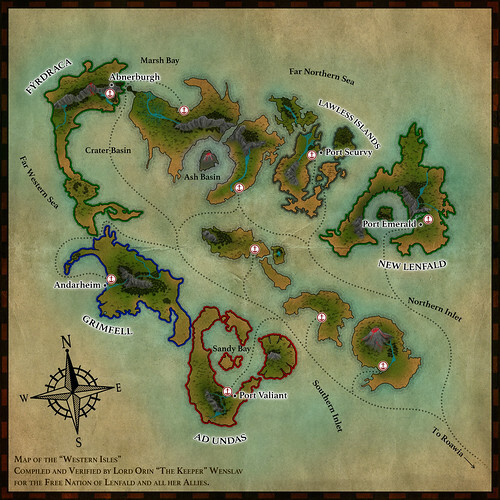 New lands have been discovered off in the distant West by Lenfald. Word of this has been leaked and now reached the ears of the leaders of the realms. In response they have called for ships to be built, citizens to be mustered and armies to be roused for the grand journey to these new lands. Although this new discover brings hope to many, it also brings greed, desire and mistrust. 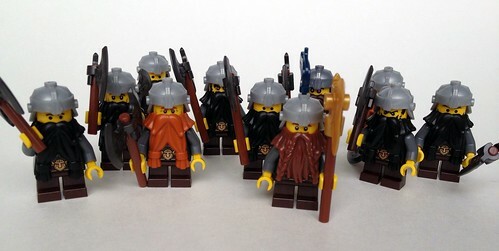 The leaders are all eager to succeed and be the first to settle these new lands. Although Lenfald has visited them and laid claim to one isle, they have yet to make this claim official. So to prevent anyone from being first the leaders have reached out in secret to their people to stop their competitors in any way possible. Of course they will deny all such actions on the official record, but ultimately it is your choice to see how these wishes are fulfilled. Sabotage: Purposely and covertly through subterfuge either damage another factions efforts towards the race of sending forces to the new lands or show another faction damaging your factions efforts. This can be done by setting fire to a lumber yard, damaging a ship under construction, having supplies misdirected, etc. Steal: Acquiring materials through illicit and dubious ways that are done either through the cover of darkness or in a way that they will not be linked directly back to your faction (this can also be a scene showing another faction doing this to yours). Pockets of lawlessness have swelled up, but the authorities seem more interested in the politics taking place at the King’s Castle. Unrest is spreading, riots in Dalmunatha and Ainesford have turned violent, and people are increasingly suspicious of strangers. Unrest: Rioting, hostility, resistance, hoarding. Espionage: Spying on other factions, information-seeking, and secret meetings to establish clandestine alliances. Preparation: for seclusion or potential war. 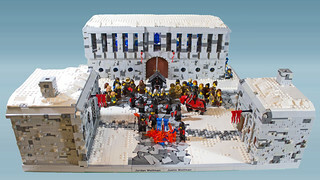 Local Challenge 24 - Influential NPCs (hosted by AK_Brickster) - Your task: Build two NPCs who will join the Jarl in an assembly at the Capital city of Mikithdar to discuss the future of Garheim and the Kingdom of Roawia in light of recent events. 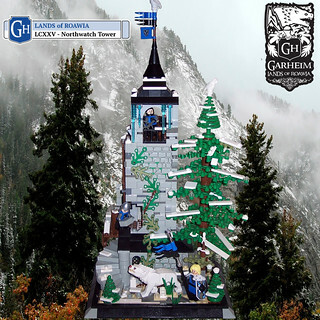 Local Challenge 23 - Mosaic Challenge (hosted by Excalibur) - Build a mosaic with a Garheim theme. Some examples of this could be a tapestry within a Garheim castle, a map of some part of Garheim, an image like your favorite castle or the face of your character or even advertisement to join Garheim for Flickr! The mosaic must be at least 16x16 studs and no more than 48x48 studs. GLOBAL CHALLENGE IX - The Recovery - With Maldrake dead and the Queen still suffering from being poisoned by the traitorous wizard, the allied armies of Lenfald, Loreos and Garheim finally seem to be poised to return their lands to peace and prosperity once more. Unfortunately, the losses from the assault on Maldrake's fortress were tremendous, and the remaining troops have neither the numbers nor the morale to attempt yet another crusade to the royal isle to finish off the Queen's forces. She would have to wait, for now. For the next few months, it is important for the men of Roawia to return to their homes and begin to rebuild their lives and their villages. In the meantime, Chartres and the leaders of Roawia will begin to strategize the final push to remove the Queen from her seat of power once and for all. Build a scene showing life returning "back to normal" for the residents of Roawia. 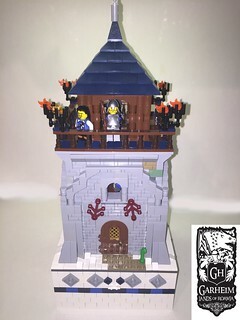 Local Challenge 22 - Terrors of the North (hosted by AK_Brickster) - In the spirit of the upcoming Halloween holiday, this challenge will be to build a small scene (max 16x16) that depicts a traditional piece of Garhim folklore of the scary variety. It could be a legendary monster, dark natural spirit, ghost of a fallen warrior, etc. 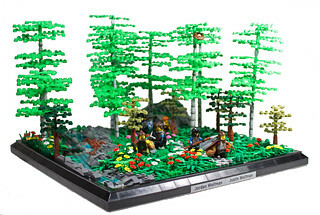 Local Challenge 20 - 3rd Annual Fishing Tournament (hosted by AK_Brickster) - Summer is drawing to a close, and the first leaves are beginning to show hints of yellows and reds. Mountains low enough to be snow-free during the summer are starting to get a light dusting of powdered snow, and the majestic arctic moose are gearing up for mating season. Before ice starts to form on the northern coastlines, it's time to gear up for the annual fishing tournament. This year, we celebrate our victory over the Queen's men, and the Jarl is happy to see the morale of the local Garhims boosted by the prospect of bringing in this year's trophy catch. There will be much to do to rebuild the towns before winter, but for now, the people need a respite from work and battle, and the influx of fish that will be caught during the course of the tourney will help to feed those who have lost their homes, crops and livestock to the Queen's raiders. The thread for this can be found here and the results here. GLOBAL CHALLENGE VIII - Garheim in Ashes - Your challenge is to show your character fighting alongside either the Lenfels, the Loreesi, or both, in an attempt to fight back the Queen's soldiers. Alternatively you can show your character coming into contact with either the Lenfels, the Loreesi, or both. They don't necessarily need to be combative personal. Remember though, this is your homeland, so show "her Majesty" she's no longer welcome! Please refer to this thread for more details. |T|itus - Looking for allies - Garheim Restricted Finalist and Winner! 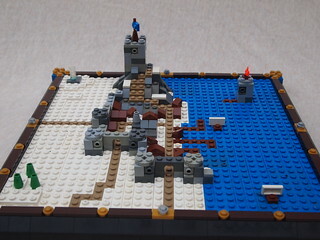 Local Challenge 19 - Destruction and Desperation (hosted by AK_Brickster) - Garheim is still under the Queen's heavy hand, and things are looking grim as her men are taking advantage of the diminished forces to run rampant throughout the land. Even as they are being driven from the other provinces, many of the black scourge are finding their way north, increasing the strain on the Garhim defenses. GLOBAL CHALLENGE VII - The Rebellion Strikes Back - The goal is simple; free Roawia from the grip of Galainir and Maldrake's tyrrany, and rescue the faction leaders who are being held hostage! 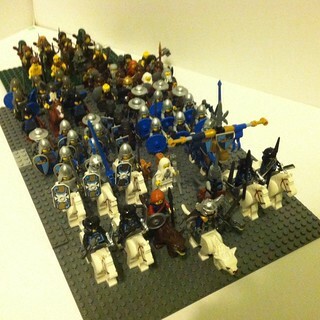 Troops will be needed to both free the local towns, and also to assault the royal castle. Please refer to this thread for details and the results. Local Challenge 18 - The Supply Train (hosted by Excalibur) - All residents of Garheim know that winter can be very unforgiving for the unprepared. The longer the Queen is in power we are all learning that the she can just as unforgiving. In order to plan a revolution, every army is going to need supplies, weapons, food, armor, etc. Show your character having supplies made, traded, horded, stolen or otherwise centralized in preparation for a rebellion. GLOBAL CHALLENGE VI - A Glimmer of Hope (Preparation) - Show your character preparing for rebellion against the Queen’s forces. This can be stockpiling/forging weapons, gathering intelligence on the enemy, secretly assembling troops, etc. Remember that open conflict with the Queen's troops is still forbidden. Please refer to this thread for details and this one for voting results. 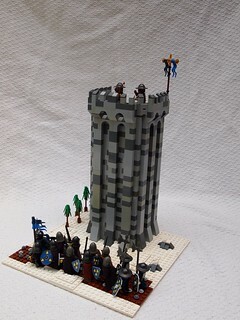 Local Challenge 17 - Propaganda - (hosted by AK_Brickster) - Now that all factions are open to new members, we need to make sure that there isn't a surge in recruiting to Lenfald and Loreos! 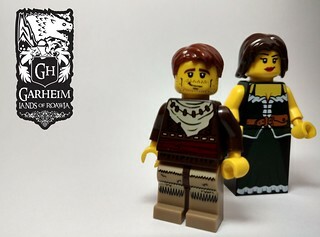 Create a piece of pro-Garheim propaganda and share it on Flickr, MOCpages, Facebook, etc. Anywhere where we might be able to win new members over to the Northern Horde! 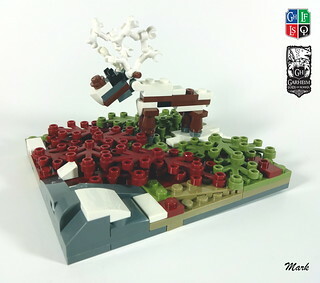 Local Challenge 16 - First Snow (hosted by Excalibur and AK_Brickster) - After we have completed GCV and seen many of the residents of Garheim flee to the countryside. Now is time to show how the characters will deal with the first winter snow. 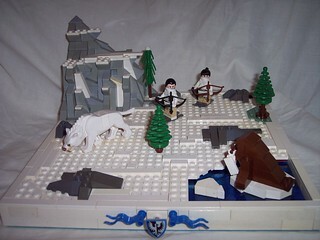 In this contest please build an original creation that will show your character interacting with the first snow of the season and connect this with a category for CCCXI. The snow could be out the window or even showing kids playing in it. Let your imagination run wild. GLOBAL CHALLENGE V - Dark Shadows - The newly-crowned Queen, Galainir, has proven herself to be treacherous, having imprisoned the leaders of Roawia, along with dozens of knights, nobles, their families, and even outlaws! She has sworn to terribly torture her captives if any resistance is made, and we certainly don't want our leaders to have to go through having their fingernails extracted, so for now, we must comply with her demands. The Challenge: Please refer to this thread for details. Local Challenge 13 - Making Preparations (hosted by AK_Brickster) - Show preparations for a great feast. This can be baking extra loaves of bread, slaughtering of livestock, pressing wine, setting up tables, etc. Your character can either be directly participating in the preparations, or just observing. If your character is attending the feast on the King's Isle, you can show him witnessing preparations as he is traveling to the Royal Banquet. Get to work, and show Roawia that we know how to party! 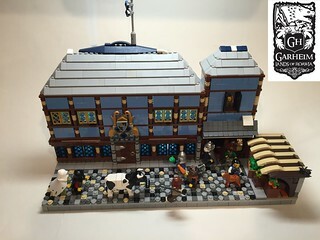 Local Challenge 12 - Welcoming Chartres (hosted by AK_Brickster) - Build a section of a military parade on the streets of Mikithdar, collaborating with the person who's section is on either side of you. Local Challenge 11 - The New Soldiers (hosted by Excalibur) - As we begin the month of June, it is common to think of graduations. 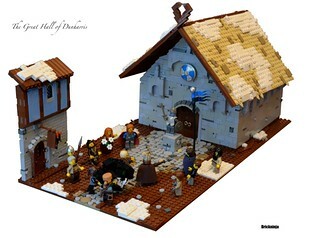 In this contest please build an original creation that will show new soldiers doing something for Garheim. This could include, but would not be limited to having new soldiers just finishing their training or fresh soldiers relieving the soldiers returning from one of the many battles from GC#4. Local Challenge 10 - Protect the Homeland (hosted by AK_Brickster) - With the rumblings of potential war coming from the desert peoples of the south, this challenge will have two parts. You are free to do either Part A, or Part B or both. Part A – Show your character spreading the word, learning about, or something associated with the news of potential war with the other factions. 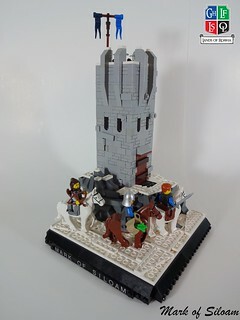 Part B – Show your character leading, assisting, or otherwise helping with fortifying a city, outpost, or significant landmark in case of attack. 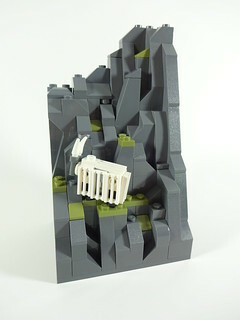 Local Challenge 8 - The Things of Nightmares (hosted by AK_Brickster) - Howling winds... dark mountains... unknown wilderness... the screech of owls and the cry of hungry wolves..... Nighttime in Garhiem can be a terrifying place to anyone, be it man, woman or child. Many nights around a campfire have been passed telling stories about the terrors that may be lurking just beyond the edge of the firelight. Wolves, demons, snow spirits, abominable snowmen. Real or imaginary, these are the things of nightmares. Local Challenge 7 - Garheim Landmarks (hosted by Konze) - The land of Garheim is a vast and wild expanse, with much of the country uninhabited and poorly mapped. 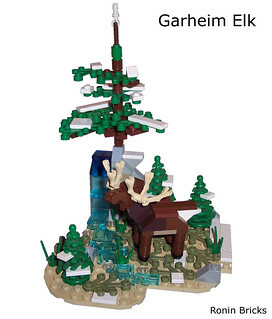 In order to avoid becoming lost in the wilderness, Garhims learn at a young age to make use of landmarks, both natural and man-made, to help guide them on their journeys. Build a scene showing your character at a prominent Garheim landmark. 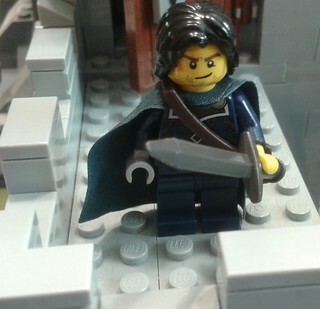 GLOBAL CHALLENGE II - The Search for the Sword - Build 2 MOCs - One that shows your character gathering information about the location of the sword, and one showing them finding it. 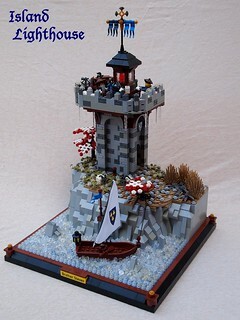 Local Challenge 6 - Fishing Tournament (hosted by AK_Brickster) - Summer is upon us and has finally provided some meager relief from the harsh northern conditions. The winds have abated slightly, and in southern Garheim, the weather is almost pleasant. In celebration of surviving another cold winter, Jhirian Eindrik has declared a regional fishing tournament! What better way to celebrate the region's rich fishing history than to see who among us is the best at capturing these tasty denizens of the sea? Local Challenge 5 - Freedom! 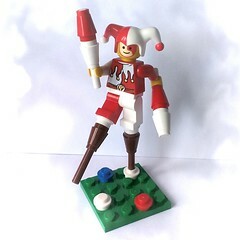 (8x8 Challenge) (hosted by AK_Brickster) - In honor of the 4th of July coming up (American Independence Day), there will be a small contest to commemorate the holiday. 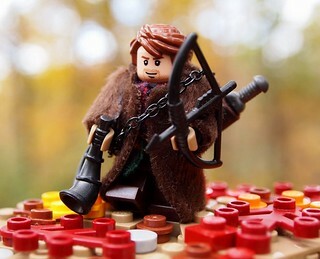 Show your character participating in a MOC based around the word, "Freedom" (can be taken literally, or in a broader more general way - write a short story describing your MOC). Local Challenge 4 - Coast-to-Coast Sled Dog Race (hosted by Excalibur) - Jhirian Eindrik has called for a coast-to-coast dog sled race. The race will run starting at the town of Rothburg, running south through the capital and ending at Jahrton. Your challenge is to build a scene showing your character supporting, watching or participating in the race. 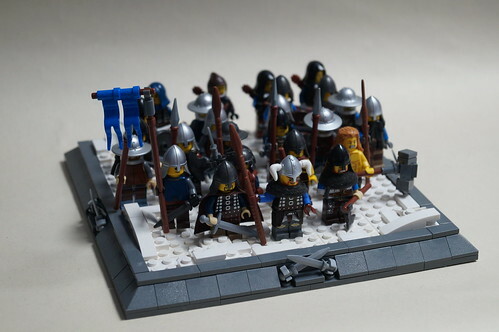 Local Challenge 3 - Heroes of the North (hosted by AK_Brickster) - The inhabitants of Garheim pride themselves on their bravery and honor. 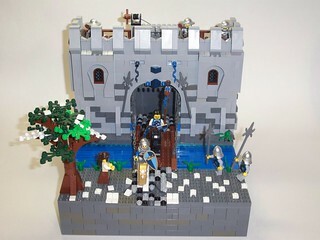 Your challenge is to build a scene showing your character doing something noble or heroic. It could be saving someone from a fierce creature, feeding the poor, or rescuing a friend who has fallen through thin ice, etc. 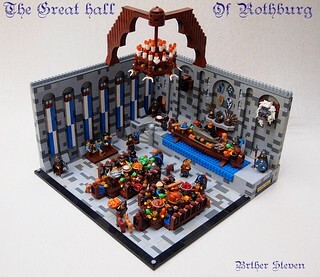 Brother Steven - A Feast at the Great Hall of Rothburg - Finalist & Overall Winnner! 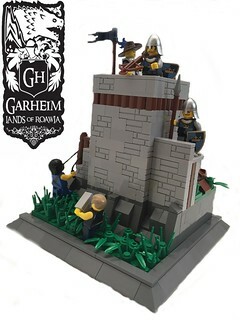 Local Challenge 2 - Industrious Garhims (hosted by AK_Brickster) - At first glance, the lands of Garheim may seem harsh and barren. But to the trained eye, the land virtually teems with resources. 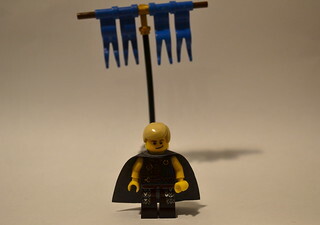 Your challenge is to build a MOC that shows your character gathering resources. Some ideas: hunting, trapping, fishing, mining, or even growing meager crops or gathering sparse lumber. Local Challenge 1 - Surviving the Storm (hosted by AK_Brickster) - The lands of Garheim are harsh and unforgiving. Every man, from the time he was a young boy, has learned the survival skills required to live in this treacherous climate. 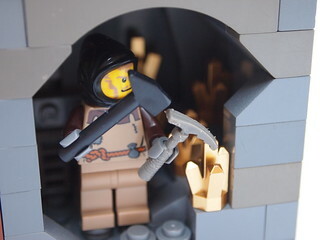 The challenge is to build a MOC that shows your character toughing out a storm in a temporary shelter built from the land. Some ideas: A cave, a lean-to, a snow cave, hunkering down under the branches of a large conifer, etc. It is great to see you, I thought you were in opposition to the new site? I initially was, but I believe now that I can get used to it. Well, Sir Ian doesn't have any of that kinda stuff yet, as he's what you might call a penniless knight, and not from a rich family, but after Hero's M2 he will probably get a castle from the treasure he will find. I will be happy to write a bit about it when the time comes, that will be in a while, though. If you' like to put a short paragraph together for Hallfrost, that would be great. PM it to me along with a couple of links to representative photos. I'll put something together for Jharton, and maybe Bro Steven can do Rothberg. A new home for Garheim eh, looks very nice. Do you think we should have a 're-sign-up' type thread? In which we introduce our characters and backstory? It would be a good general reference for newcomers and old-hands alike. As people introduce themselves, they can be added to the scoreboard. Anyone who doesn't make the transfer over from CC can be regarded as inactive... and is not featured on the scoreboard. Until they re-sign-up at a later date, if at all. It would make the scoreboard a truer representation of who is actively involved in Garheim. Sure! I'll start, as long as I get to keep all my points. Sir Ian Ferguson is a young knight who finished his training shortly after the rise of Galainir, and thus was knighted in secret. He is relatively inexperienced, but was deployed to aid the rising resistance.